Two models: Telescoping and Non-Telescoping. Comfort coated handles. 12 volt battery - charger included 1 year pump warranty. 10-12 second lift time unloaded. 6 1/2" wide forks. Overload bypass. 6" moldon polyurethane steering wheels. Polyurethane wheels. 3" moldon polyurethane load wheels. 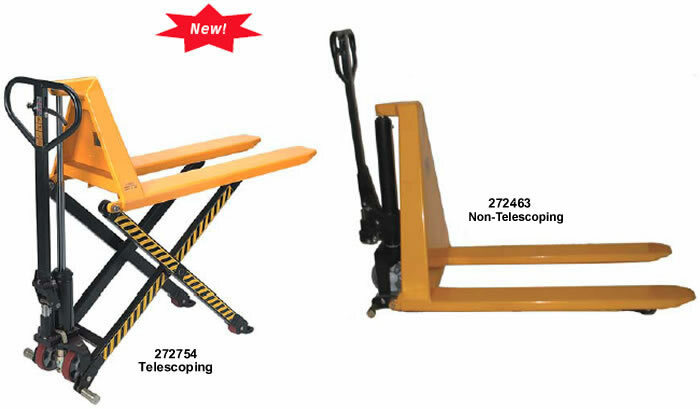 Two models: Telescoping and Non-Telescoping. Loop handles with inside hand control. 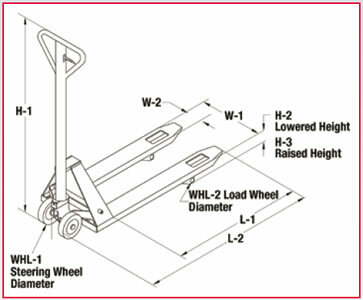 Closed pallets must be placed on top of forks.